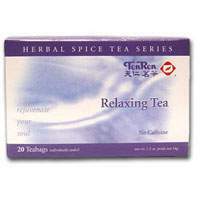 Relaxing tea is a relaxing herbal blend designed to help you relax. Its fruity fragrance and flavor make it a delightful tea whether taken with meal or after a long day. It contains no additives, artifical flavor or preservatives.